Never Come Down is catchy and compelling, blending equal parts singer-songwriter pop with reggae. Fans of Jason Mraz and Dave Matthews can find something to appreciate. Touhill is able to distinguish himself from the rest of artists in the soul / reggae style as there is a decided effort to make each arrangement pop. One Thing builds off of the work crafted by The Police while infusing the track with a bouncy, ska-influenced guitar line. Touhill is able to create single after single on the Keeping Secrets EP, making this into a must-listen for anyone that is a fan of heart-felt and alluring music. Sitting On Top Of The World slows things down slightly, marrying Touhill’s vocals with a more desert-rock / surf sound with hints of Sublime and early 311 playing at the periphery. This track will be extremely relevant for anyone that has had their heart broken or has coped with life’s problems with alcohol or other crutches. Doin Time matches well the remainder of Keeping Secrets in that the narration matches the instrumentation in quality and establishes linkages between the whole of the disc. 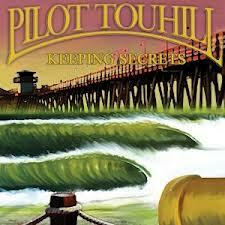 Add Pilot Touhill on Facebook for more information regarding the performer and any recordings that he may release. There may only be a few tracks on the Keeping Secrets EP, but Touhill is talented enough to provide listeners with a semblance of the styles and influences that have molded him, all while imbuing the constituent tracks with their own unique flavor. I believe that Touhill has the ability to cull together an LP that is on the same lofty level that Keeping Secrets has achieved.